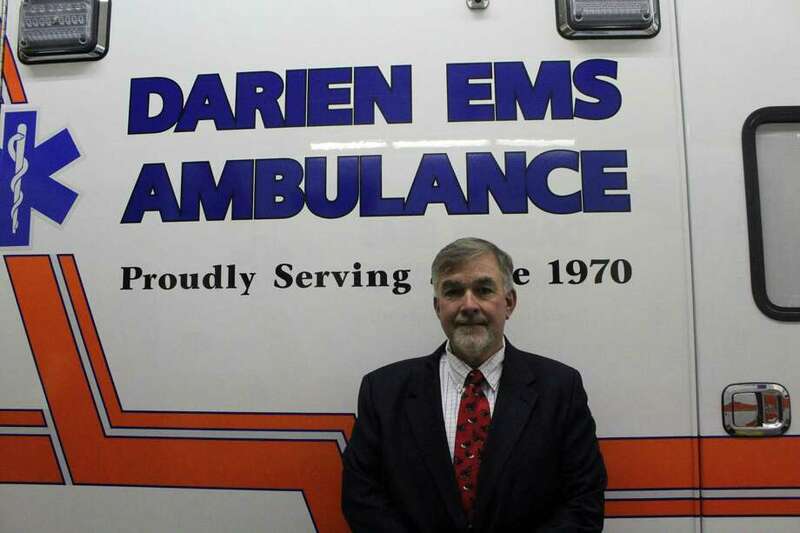 Joe Larcheveque, executive director of Darien EMS Post-53. Taken Nov. 12. DARIEN — In October, Joe Larcheveque was named the new executive director of Darien EMS-Post 53. Larcheveque is the ninth person to serve as director in Post 53’s 48-year history and the first paid executive director of the volunteer ambulance service. Before coming to Post 53, Larcheveque spent more than 25 years at Stamford EMS. He has also served as Post 53’s clinical adisor for quality assurance and training since 1995. The 52-year-old Bridgeport resident spoke about his new position and how he first became involved in emergency services. Q: How did you first become involved in emergency services? A: I became an EMT (emergency medical technician) in 1985 and worked in the city of Bridgeport. I loved it and then came to Stamford in 1992. I first started interacting with Post 53 shortly after. Q: What made you interested in working in this field? standby for medical coverage. That’s what really got me interested. Q: How was the experience when you first got into the field? A: It was exciting. It was a lot of volume back then and a lot of calls. It really made me want to pursue this career and go further in my paramedic education. Q: How has emergency services changed over the years? Or has it changed? A: It has. It has gotten much more technologically savy. There’s a lot more responsibility on EMS providers than when I first started. There’s a lot more treatments that we can do before the person gets to the hospital to have a more positive impact than we ever had 30 years ago. Q: How did you come about the role at Post 53 in Darien? A: I was the deputy chief at Stamford EMS and, like I mentioned, I started with Post doing some training with them and working with them closely in the mid ’90s. I actually met my wife here when I first started to come around. I have a very special place in my heart for Post 53. They do an outstanding job here. The care that the young adults deliver is on or above par of most other EMS services. For me, when the opportunity to come here as a director opened, I was thrilled to have that opportunity. Q: What does your new position involve as executive director? A: My role is the overall operational guidance of the organization. I work with Siddhant (Parwal) who is the president of Post and provide guidance to make sure that Post continues in what it has always been: A high-quality EMS organization. Q: How would you say your previous position prepared you for this new role? A: Lucky because I had such a close working relationship with Post I had a lot of insight to how this organization works and the structure. I know most of the people. They’re all wonderful and they have welcomed me with open arms. So I’ve been able to come in and hit the ground running.